"Sorry to see it go." "St Nazaire to Gijon and Gijon to Poole"
The St Nazaire to Gijon trip was fine and everything worked well for us. Very polite and helpful staff. Breakfast time could have been earlier for us. The Gijon to Poole trip was too long for us (24hrs) and the swell in the Bay of Biscay made it a rough journey which would have been more stable and comfortable in a larger boat. Sorry, but this wasn't a pleasant experience for us but we were just unlucky with the sea conditions which spoilt the trip. 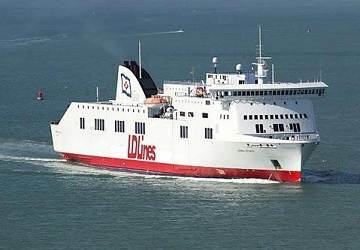 "please bring this ship back next summer "
A great way to travel, you arrive well rested in Spain.